Though we’ll unfortunately have to wait until 2019 for Gotham‘s fifth and final season to premiere, we’ve already been teased a generous amount regarding what the final leg of the journey has in store. To date, it’s been said Bruce Wayne will take up the mantle of Batman in the end, in addition to villains such as Scarface and Mother showing up. Still, none of us can help but wonder what the future holds for some of the baddies who’ve stuck around since the very first season. 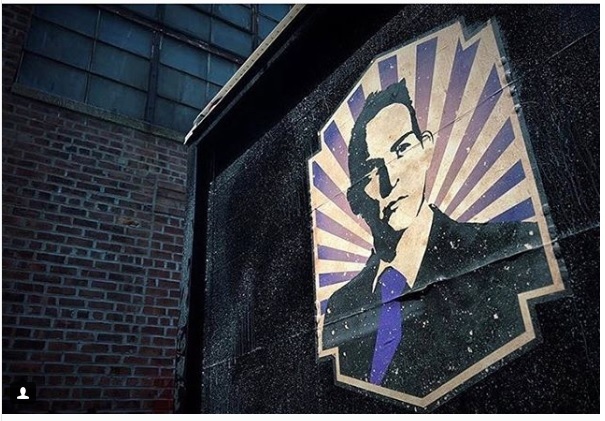 Chief among them is that of Robin Lord Taylor’s Oswald Cobblepot, whom we’ve been able to follow from his days as Fish Mooney’s lapdog all the way to his emergence as one of the most formidable crime bosses the city has ever seen, that being the Penguin. But in light of the events witnessed in season 4’s finale, “A Dark Knight: No Man’s Land,” it stands to reason that Oswald will have to adapt to the new landscape as villains vie for control of the wrecked metropolis. But if the following picture shared by both Taylor and executive producer Danny Cannon on Instagram is a good indicator of what’s to come for this guy, then it looks like he’ll do just fine. Recently, we’ve received teasers of a couple new gangs in town (you can check them out here and here), but it’s probably too early to say if one of them are loyal to Penguin, or if they’ve united under someone like Mr. Freeze, Firefly, Scarecrow or even Bruce Wayne. Regardless, expect to learn much more once Gotham returns for its fifth season sometime in early 2019 on Fox.